Holly and I were driving to the movies last week and she gasped and whipped the car down a side street. 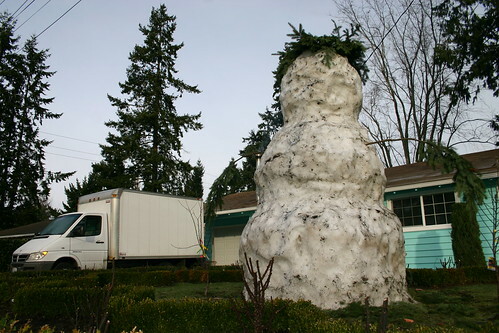 We went all the way around the block and then she pulled up to this monster, about a mile from our house. It’s higher than the guy’s roof, so it must be, what, 15 to 17 feet tall? And this was after three or four days of rain. The next morning was Sunday. I got up around eight and hustled the kids in the car. “Are we getting donuts?” Aaron wanted to know. “Better than donuts,” I said, getting my camera. 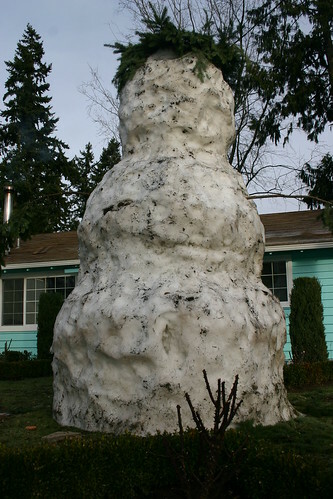 Now THAT’S a snowman. Great pix. 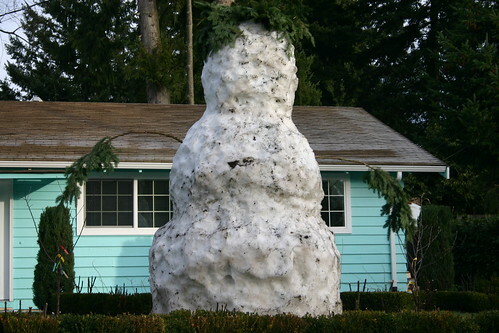 I guess you don’t get too many snowmen down Costa Rica way. 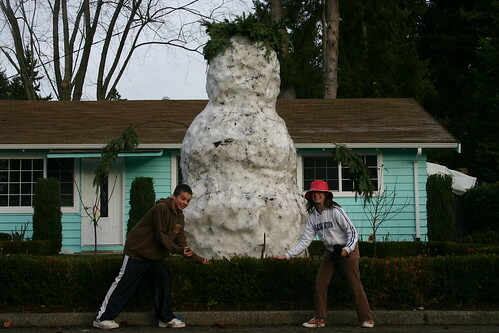 For a girl from the Pacific Nothwest, you must have seen your share of giant snowmen.